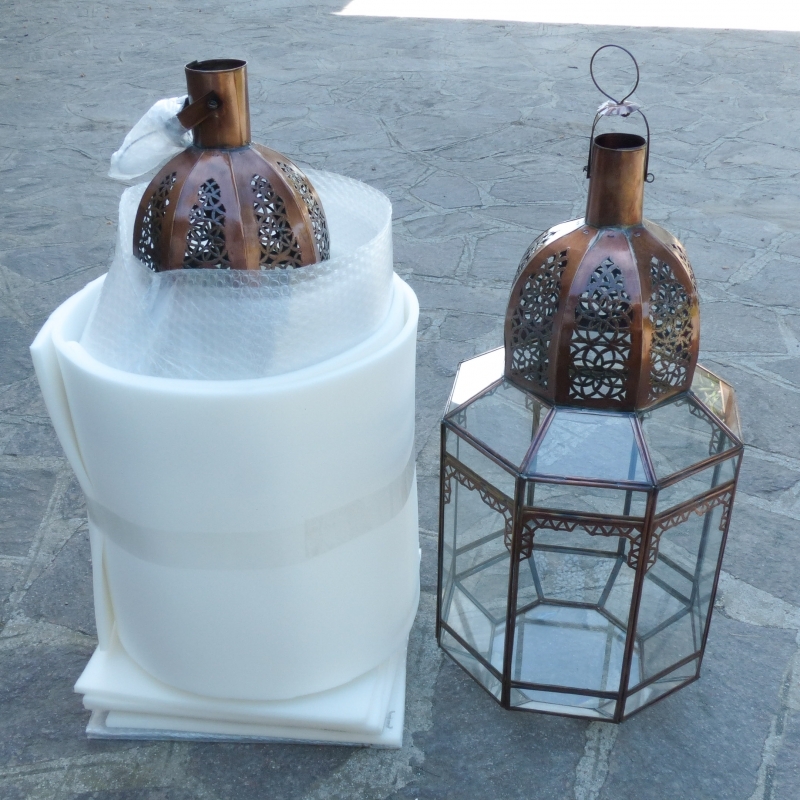 This lamp will give wonderful amber warm light and beautiful patterns on the wall and ceiling if you use a transparent bulb. 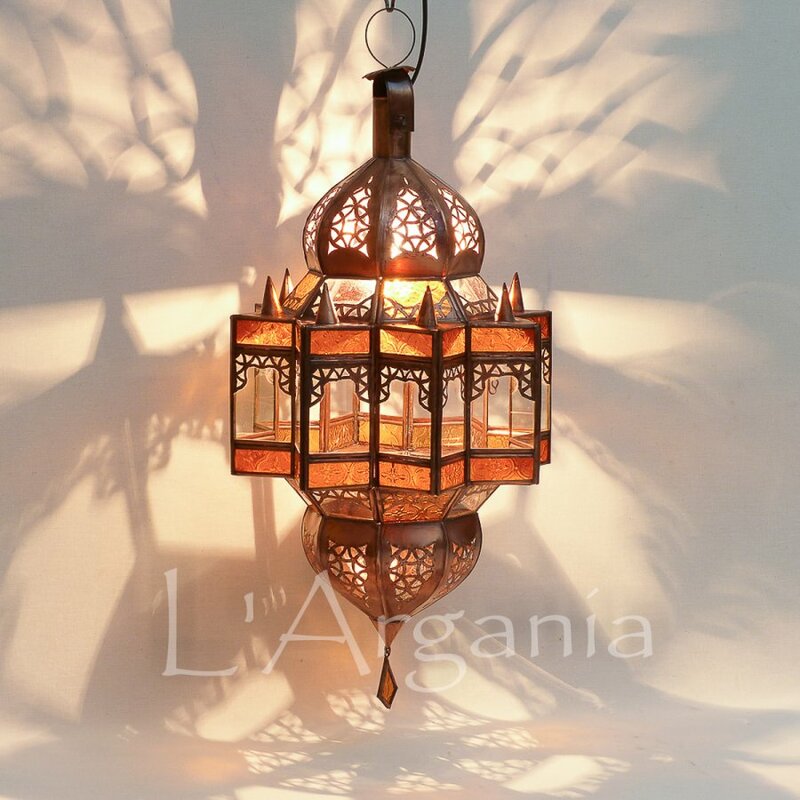 It is hand made in Morocco, and the metal is galvanized with copper. It has both clear and amber glass. Most products are made by hand. For this reason there might be small imperfections and small variations in size and colors. 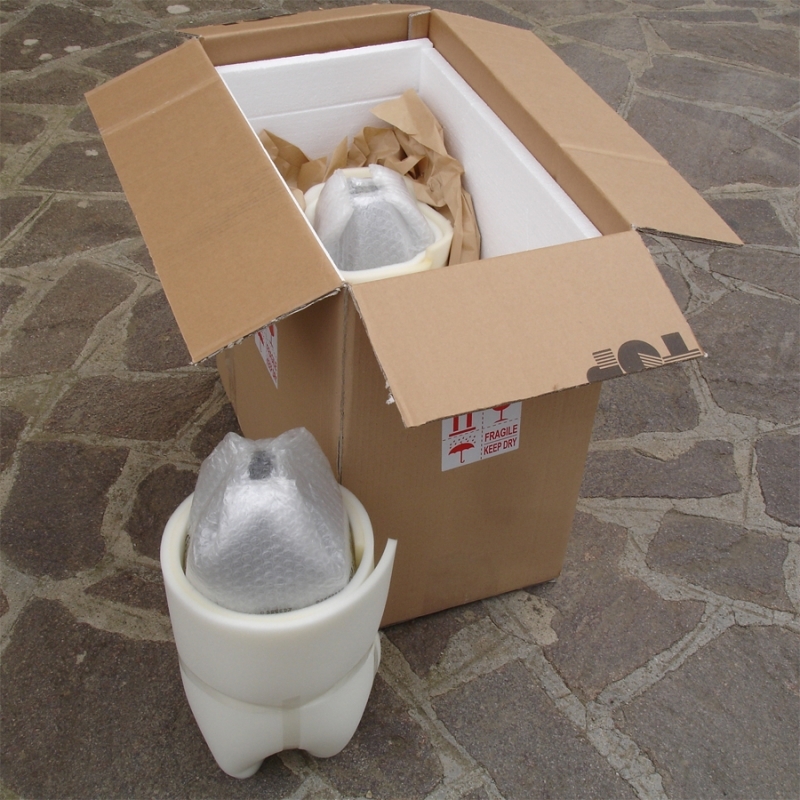 Most part of the products have to be packed with special care in order to avoid breakage. See the photos below.